I really must read this - I've been intending to for ages but somehow have never got around to it. Your videos of the Severn Bore are pretty fantastic aren't they. Did you see that programme on the tv this week of amateur footage of the Japanese Tsunami. I turned it off in the end as it seemed rather bad taste to carry on watching such a disaster as it happened. 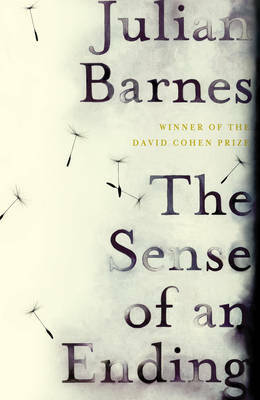 I've never read Julian Barnes. Probably because his books haven't been translated into Finnish since The Porcupine in 1993. Any recommendations where I should start? What is your favourite? I'm not 100% certain my English is up to the task, but I'm willing to give it a go. It's weird isn't it Tom that a book we know will probably be an easy and rewarding read can tend to languish on the shelf. I like to keep a few bankers on there in case of emergency. I'm pretty sure you'll enjoy this when you do get around to it. The Severn Bore footage is great isn't it. Very odd. I didn't see the Tsunami programme but did see a collection of photos of the year, some of which were fromJapan and it reminded just how devastating that event was. As for Barnes recommendations, 'Anonymous', I'm probably not the best person to ask as I've only read three of his novels. One of those was Staring at The Sun which I've reviewed here. I also really enjoyed Arthur and George. Two of his most famous books should be available for you in translation: Flaubert's Parrot and A History of the World in 10½ Chapters. Very nice Will. I'm still unsure about this one, but will probably read it eventually. I used to rather like Barnes' work and this does sound like strong territory for him. Over at John's the comments are quite funny, because there seems to be an endless stream of people discussing exactly what happened and what the truth is, when the point of the book as I understand it isn't that at all. Your review reminds me slightly of the Anthony Powell's. A big theme in Dance is the creation by each person of their own personal myth, their concept of who they are. When reality fails to coincide with the myth it can be very painful, though there some have so strong a sense of self reality almost bends to it. In Dance characters tend not to change over the years, but our understanding of them does and as it does they seem different. It seems they've changed, but in fact they were never quite as we thought. Obviously here memory is the focus, which isn't the case there, and I'm not arguing for a link of any kind. Rather it sounds like they're drawing on similar wells of inspiration. If so the what really isn't that important. The Eastenders twist isn't the point. Could still be a bit silly though. He doesn't go all McEwan on us does he? A forced ending and character bending to plot? I think you're right to be a bit unsure about this one Max. It has all the right signifiers but there's something not quite right, something that stops it from being a really great book. The need to understand the details is interesting and, as you say, not really the point of the novel. In fact you might say it is almost the opposite of the point given that this is a novel whose main protagonist is accused of just not getting it! It isn't so much that characters are forced to bend to plot but that the plot itself feels unnecessary when the point of the novel is that the main protagonist isn't aware really of what has happened around him and the part he plays in it. What you say about Powell makes those books sound really interesting and I say that as someone who has never been tempted to read them. I wonder if, in a rather clumsy comparison, a series of novels like those might offer the same kind of satisfaction as the TV series box set vs a movie feature (cue Powell turning in his grave).